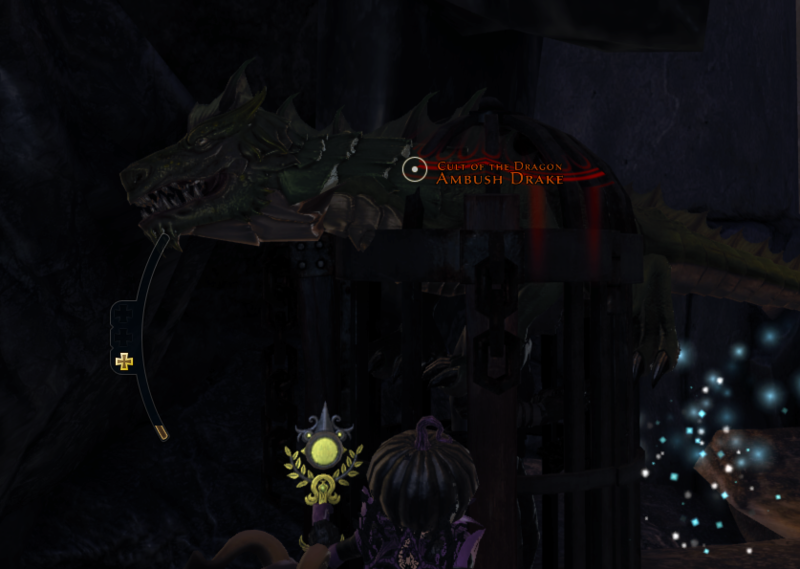 The ambush drakes in the Cult Prison get stuck in the cages with no health bar. This has been happening for a week so far. They cannot be attacked with any ability (encounters, dailies, etc) and render the quest impossible to complete since you can't open the cages with enemies about. Walk back to the entrance. The mob will reset.